The business of youth soccer in Central Florida has exploded over the last few years. The ACYS Spirit United Directors and Staff know that you have many options for your child's development. What we want you to understand is that we train harder and smarter and have some of the most qualified and experienced trainers in the State of Florida. Our commitment to you is that we will always strive to learn and work towards our goal of providing an elevated and superior training atmosphere for all levels of play while constantly looking to address areas that need improvement. The results over the last couple of years have spoken for themselves. We invite you to take the time to explore what makes our Club and training different and unique. Are you ready to discover the difference? ACYS Spirit United is committed to developing excellence in youth soccer through a program that inspires and challenges players to realize their potential, both on and off the field. 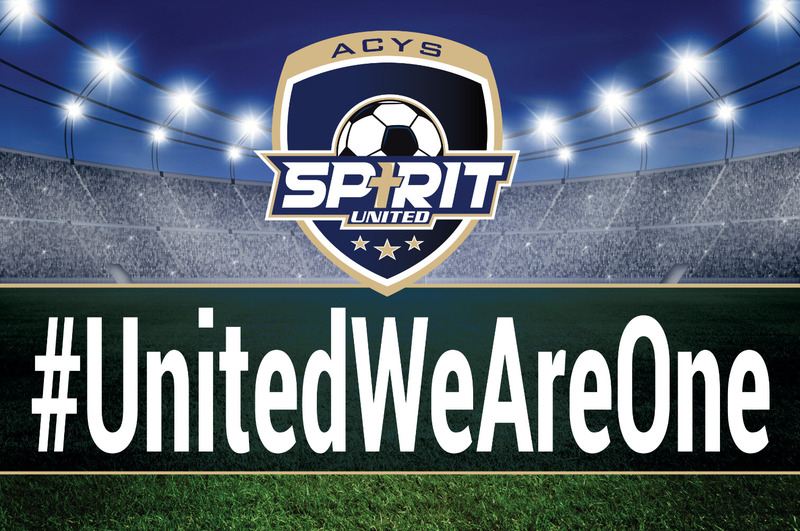 Any proceeds made by any of the ACYS Spirit United programs are reinvested into the Club in the form of better training equipment, education for the coaching staff, facility improvements and scholarships for players in need. ACYS will always be mindful of its humble beginning and the Christian values it was built upon. We believe God will continue to work through the many parents, coaches, and volunteers to positively impact the children and families of Central Florida. FYSA/USSF Coaching Courses - Hosting State & National Level Courses. Dates Coming Soon!